Lawrence Public Schools faced was limited time and waning student engagement in their classrooms. 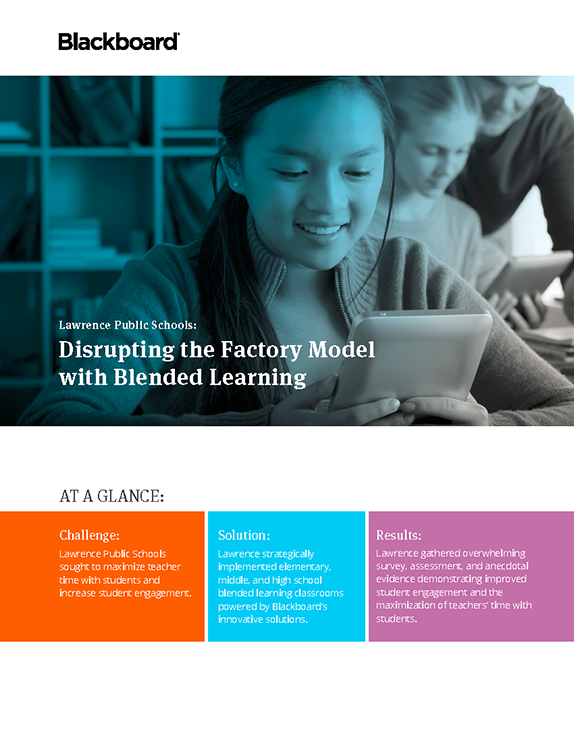 Lawrence adopted Blackboard classroom solutions to embrace blended learning as part of their formal education program. Copyright © 2016. Blackboard Inc. All rights reserved. "The unsolicited response I get from teachers on student engagement specifically, you won't believe. Many share that discipline has become a non-issue in their classrooms."